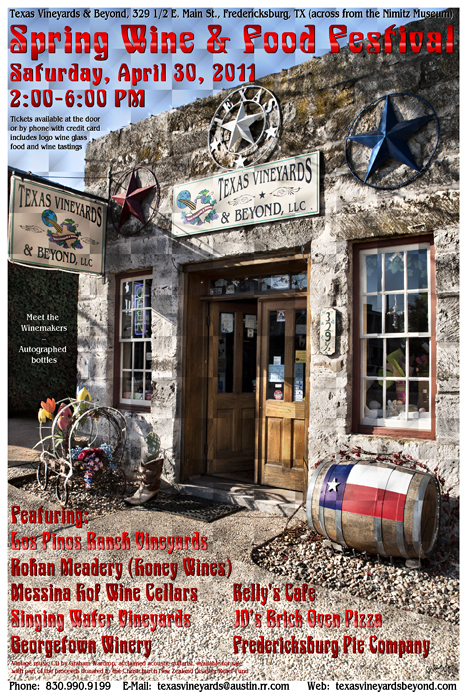 Enjoy wine tastings from Texas wineries and local food artisans at Texas Vineyards and Beyond, 329 1/2 East Main Street, from 2-6 pm. Meet the winemakers and obtain autographed wine bottles! $10 per person at the door, includes logo wine glass, wine and food tastings.